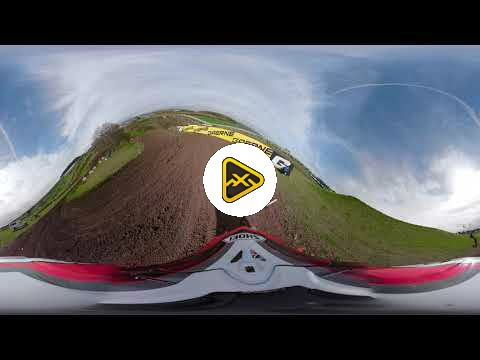 Take a lap around Matterley Basin, site of the 2019 MXGP of Great Britain, on the helmet of Max Anstie. Scroll around to view everything in a 360 degree view. Click here for qualifying results from Matterley Basin.